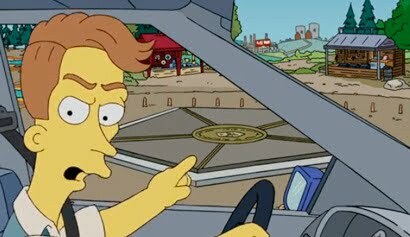 On last night's episode of the Simpsons, Sideshow Bob took Bart to "5 Corners" the only place in America where 5 states meet--so that Bob could commit the "perfect crime" in multiple states (his theory was that no individual state would have enough evidence to prosecute him). OK, so we know America has a "4 Corners" where Arizona, New Mexico, Colorado, and Utah meet, but is there any place 5 states meet? The answer is no... so I pose the question... is there any place you can get close? That is, what place in America gets you the closest to being in 5 states at once? I offer 3 candidates: Standing in Boise City, Oklahoma puts you 40 miles or less from Oklahoma, Texas, New Mexico, Colorado, and Kansas. Another candidate is Rutland, MA which puts you about 40 miles or less from Massachusetts, Rhode Island, Vermont, New Hampshire, and Connecticut. A third option is New Madrid, Missouri, which gets you about the same distance from Missouri, Arkansas, Tennessee, Kentucky, and Illinois. But I haven't yet taken the time to do the actual calculations. 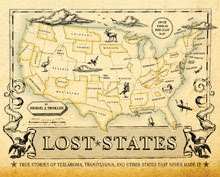 What a great project for a social studies class... solve the 5-state mystery! I'll post your answer here! So here is the formal challenge: Bob wants to stand in the place that gets him as close as possible to 5 U.S. states. Where does he stand? And what is the distance to each of the 5 states? ANSWER HERE.